As many as 85,486 citizens of 44 countries are working legally at over 1,000 local and multinational companies in Bangladesh with neighbouring India dominating the number, according immigration department sources. Foreigners living legally in Bangladesh, however, are much higher than that of those residing with work permits. There is huge discrepancy among the figures from the home ministry and other government agencies, which issues work permit to foreigners. Nonetheless, no government agencies have specific data on how many foreign citizens are currently living as well as working in the country. Three government agencies, namely Bangladesh Investment Development Authority (BIDA), Bangladesh Economic Zones Authority (BEZA) and NGO Affairs Bureau grant permission for foreigners to work in the country. BIDA issues work permit to foreigners for private sector while BEZA for the export processing zones and NGO Affairs Bureau for development organisation. Data shows only 17,000 foreign citizens have obtained work permit. The National Board of Revenue has information on 15,000 foreigners, of which, 14,000 pay taxes. Analysts stressed coordination among the government agencies over data on foreigners in country. “It’s important (for authorities) to know the purpose of travel right after a foreigner checks in the (Bangladesh) immigration,” said Dr Nazneen Ahmed. According to Nazneen, how many foreigners travel to Bangladesh is not important rather the focus should be on who come to work. “Foreigners including students, entrepreneurs, physicians, and tourists bring in foreign currency for our economy. “It’s really a matter of concern why foreigners get jobs amid high unemployment rate in Bangladesh,” said Nazneen, a research director of the Bangladesh Institute of Development Studies (BIDS). According to her, despite a large number of local graduates, the major manufacturing sectors like textile, dyeing, are dominated by foreigners and that the case for the IT sector as well. “Research should be carried out on how many foreigners are working, where and why,” said Nazneen. 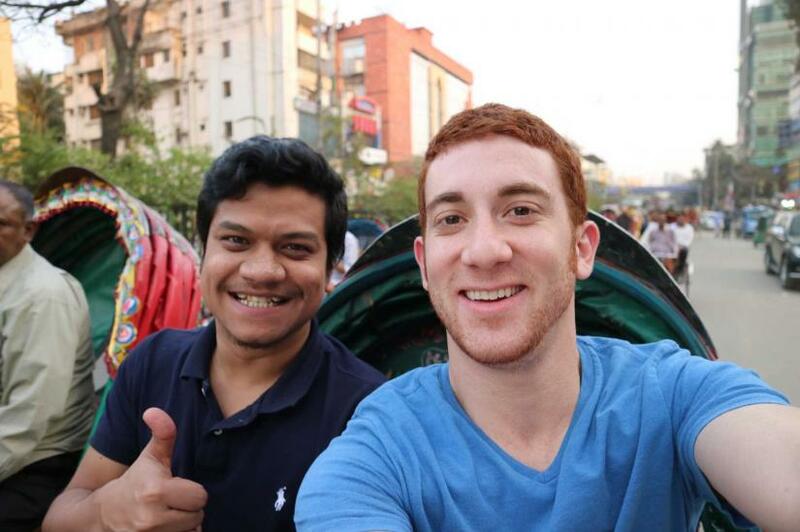 The SB has no details on whereabouts of the foreigners living in Bangladesh. A recent SB report expressed concerns over the rising numbers of foreign nationals getting involved in criminal offences, including drug smuggling, counterfeit money, human trafficking and money laundering. It also said some have even managed to get themselves included in the electoral roll. Figures from another government agency says, over 1 million foreigners are living in Bangladesh and most of them entered on a tourist visa. Most of them belong to South Asian counties like, India, Pakistan, Nepal, and Sri Lanka. Experts said that many foreigners do have a valid visa but no work permit. “It’s imperative to find out the exact number and where they work,” said CR Abrar, a director for Refugee and Migratory Movements Research Unit. “Bangladeshi workers face actions at foreign countries, so it’s also the state responsibility to know whether such foreign workers live in Bangladesh or not” he added. Back in 2016, the NBR started to create a database on foreigners in coordination with other government agencies, which is yet to finish.